A week ago on Force Friday we witnessed the release of tons of toys and more from Star Wars Episode VII: The Force Awakens. In addition, the first post-Return Of The Jedi novel, "Star Wars: Aftermath", was released. The book is a major part of the ongoing Journey To Star Wars: The Force Awakens publishing program which is working to begin filling in the thirty year gap between Episodes VI and VII and prepare us for the December 18th release of the film. Although Aftermath has been met with some mixed reviews, that hasn't stopped it from topping out at #4 on both the New York Times bestseller list and USA Today's best selling list. Aftermath also made #12 on the New York Times list for best selling E-book fiction. 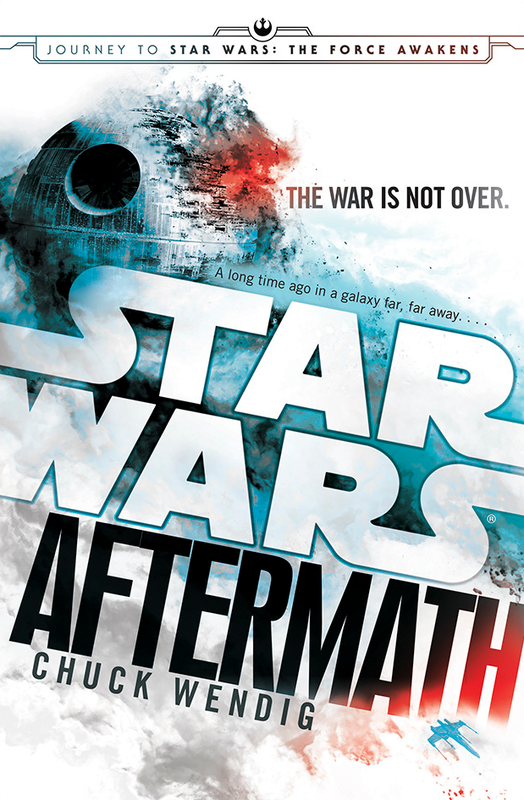 Star Wars: Aftermath, written by Chuck Wendig, is set immediately following the climactic events of Star Wars Episode VI: Return Of The Jedi and follows several diverse new characters, along with some old favorites, as they struggle to defeat the remnants of the Galactic Empire in the wake of the destruction of the second Death Star. You can find Aftermath now at you local book seller, or on Amazon.com! I'm about half way in and I'm not loving this book like I had hoped. I'm not judging the book by what it isn't giving me I'm judging it but what it IS giving me. What it is giving and how it is being given is IMHO just not that great.